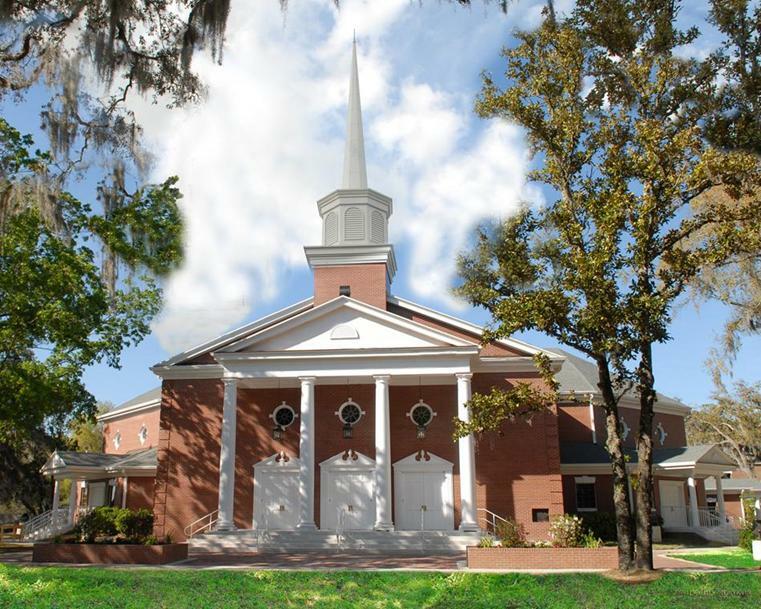 The First United Methodist Church of Oviedo (aka First Church Oviedo) is a 1,400 member, multi-generational church located in the heart of Oviedo. We offer three Sunday worship gatherings of varying styles, as well as many opportunities for spiritual growth and emotional support during the week. We are very active missionally, both in our own community and throughout the world. Our mission is to make disciples for Jesus Christ for the transformation of the world as we seek to fulfill our vision of every person becoming a follower of Jesus, loving God and others. At First United Methodist Church of Oviedo, we always welcome new friends, and we hope that you will join us for Sunday worship services and weekly activities. We believe in having fun and fellowship, and would love for you to be a part of anything we do! 8:00 a.m. 9:30 a.m. 11:00 a.m.
Come as you are to the 8:00 a.m. service where friendly members of our church family sing familiar hymns and affirm our faith together for the first worship service of the day. The 9:30 a.m. service is marked by the kind of high energy music that draws members into joyful worship of God. The Word is proclaimed and the Good News is preached to sharpen us for service. From the powerful music of the organ to the angelic voices of our choir, the 11:00 a.m. service provides the reading of the Word, responsive liturgy, and unforgettable music that fills the heart all week long. We also have a mid-week prayer service on Wednesdays at 12:15 p.m. in the Historic Sanctuary led by Pastor Joseph Okello. Please join us! Our nursery is open on Sunday mornings during all three services for babies and young children. 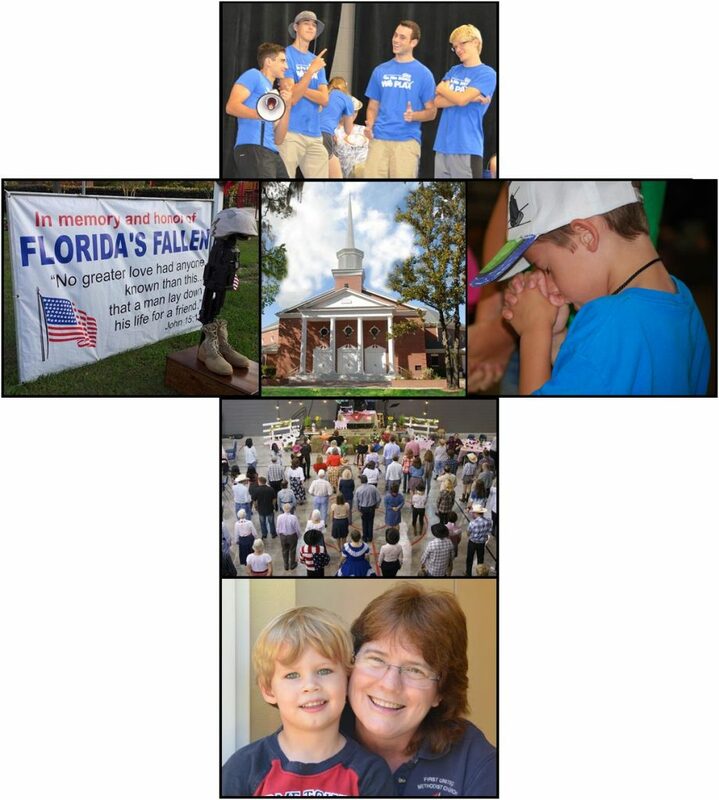 Sunday School is offered during the 9:30 and 11:00 a.m. services to children (Pre-K thru 5th Grade). For more information about worship opportunities for children on Sundays and Wednesdays, as well as upcoming sporting events, please click HERE. The youth (6th-12th grades) usually sit together during the 9:30 Contemporary service, and then meet for Sunday School at 11:00 a.m. in the Youth Room. They also get together for food, fun and worship on Sunday nights from 6:00-8:00 p.m. and Wednesday nights from 6:30-8:00 p.m. Click HERE for more details on our youth programs and upcoming mission trips. On Sunday mornings, we have several adult Sunday School classes at 9:30 and 11:00 a.m. We also have Bible studies and groups that meet at different times and places throughout the week all year long, as well as specific programs that take place on Wednesday nights. For more information, please click HERE. Click HERE for a free online resource filled with comprehensive information about the denomination and the ways we live out our global mission. Our main parking lot is on the West side of the main Sanctuary on King Street. There is handicap parking in addition to parking spaces for our visitors. Overflow parking will be directed to the dirt field between the parking lot and baseball field. Volunteers from our golf cart ministry will provide transportation to and from the parking lot. Parking for seniors is available on the street in front of both sanctuary buildings. Additional parking is also available across the street from the Historic Sanctuary. Turn right at first intersection onto N Lake Jessup Ave.
Take the 2nd left onto King St.
Take Red Bug Lake Rd. E exit and merge right onto Red Bug Lake Rd. Go past Oviedo High School and turn left onto N. Lake Jessup Ave.